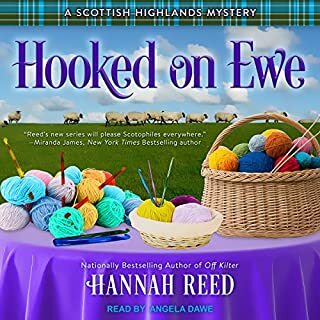 It's early September in Glenkillen, Scotland, when American expat (and romance novelist) Eden Elliott is recruited by the local inspector to act as a special constable. Fortunately it's in name only, since not much happens in Glenkillen. For now Eden has her hands full with other things: preparing for the sheepdog trial on the MacBride farm, a fundraiser for the hospice, and helping her friend Vicki with her first yarn club skein-of-the-month deliveries. Everything seems to be going well until the head of the welcoming committee is found strangled to death with a club member's yarn. Good, but not as good as the first. The main character appears to have lost a few IQ points and a significant amount of self control since the first book. It was still an entertaining read, but I had to roll my eyes quite a few times. 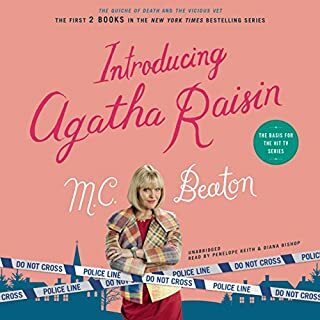 Putting all her eggs in one basket, Agatha Raisin gives up her successful PR firm, sells her London flat, and samples a taste of early retirement in the quiet village of Carsely. Bored, lonely, and used to getting her way, she enters a local baking contest. Despite the fact that Agatha has never baked a thing in her life, she is sure the pie she has secretly bought from an upper-crust London quicherie will make her the toast of the town. But her recipe for social advancement sours when the judge not only snubs her entry―but falls over dead! An ongoing, episodic "prose comic" from which the pictures are summoned by the magic of words, Goon Squad is set in an alternate version of modern-day Manchester. Its biggest divergence from the real city is that it - along with most other large urban centers - has a team of superheroes to protect it against unusual threats with which the conventional forces of law and order would have problems. 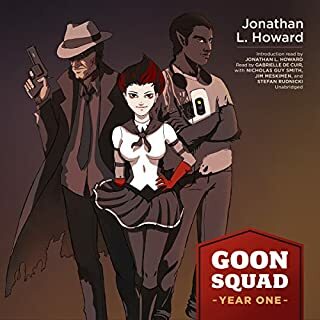 Goon Squad: Year One offers three action-packed volumes in a single collection. Buy this book. Buy it now. Wow. 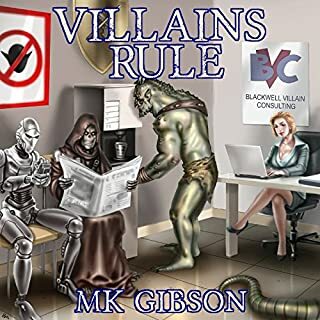 This audiobook hits all the hallmarks of a classic comic book hero team, plus some detective noir mixed in. There are loads of adventures, plot twists, and character development. The best part? This is 3 books in one! Every time I thought it was over I would look down to discover there were HOURS more! I hate cliffhanger endings as a rule, but I don’t even mind the cliffhanger here because so much of the main story was resolved. I can’t wait to listen to the next installment. For those of you into fantasy and sci-fi, listen for the references and homages that are slipped in. They aren’t super obvious, in fact, they’re pretty damn subtle, but that’s what I like best about them. While my American ear can’t geographically identify one British accent versus another, there was enough inconsistency that I could sometimes only tell the difference between characters based on the dialogue context. When reading text, you have the advantage of page layout/formatting to help distinguish between characters in a conversation. In an audiobook, we are reliant on the narrator to provide a consistent voice for each character instead. It doesn’t bother me enough to dock a star, but it it’s there. 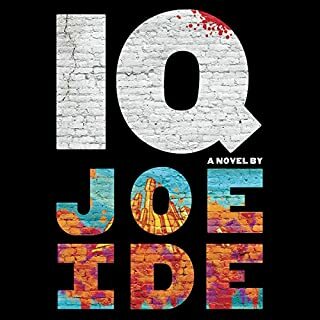 A resident of one of LA's toughest neighborhoods uses his blistering intellect to solve the crimes the LAPD ignores. East Long Beach. The LAPD is barely keeping up with the neighborhood's high crime rate. Murders go unsolved, lost children unrecovered. But someone from the neighborhood has taken it upon himself to help solve the cases the police can't or won't touch. They call him IQ. He's a loner and a high school dropout, his unassuming nature disguising a relentless determination and a fierce intelligence. Wow. Based on the publisher’s description, I expected something derivative and Holmsian. I’m a fan of Sherlock Holmes stories, so I don’t get too upset about the same tropes getting trotted out again and again. This however, was nothing like my expectation. Ide has created something magnificent and unique. The main character is a wonderfully complex antihero. The plot twists, turns, and does somersaults! My mind is still blown from what I just listened to - I can’t come up with a remotely eloquent review, just...wow. Buy this book. Buy it now. P.S. bonus points to the narrator. His character portrayals and voices were outstanding! I was especially impressed when he had to transition quickly from one to another. His narration was absolutely spot on throughout. I have read many stories in which the author attempts to blend gothic creatures into modern day. 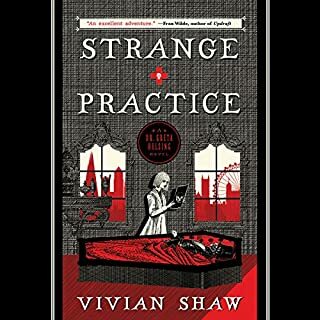 Often, these authors miss the mark - but not Shaw. Shaw successfully created characters with the perfect mix of history/experience and modern/progressive. Unlike many books these days, this one does not end on a cliff hanger (Thank you Shaw). The current overuse of such a cheap gimmick makes me insane. This novel can stand alone. All the story arcs are complete and loose threads accounted for (Again, thank you Shaw). The characters are so dynamic, and the writing so well done, that I would love to read more. I know that this group could have many excellent adventures together and I would happily read all about them if the same level of quality can be maintained over a series. An excellent tale of intrigue with a heaping helping of romance. it’s nice to read a romance with a solid plot for a change. It starts off pretty great, but loses its edge about halfway through. Only finished the book because I’m stubborn. Drafted first round pick when I was seventeen, playing first line at eighteen, branded NHL's bad boy at nineteen. At twenty-three I was cut from the team and living back home with my parents. A knock on the door brought an opportunity I couldn't turn down. All I had to do was prove I learned from my mistakes, so no way would I fall for a chick with a pouty mouth even if I wanted to spend all day devouring it. I like romance novels. I don’t mind the tropes, the predictability, or the complete departure from reality. I do, however, mind repetitive word choice, poor editing, stilted dialogue, and wildly inconsistent characterization. The narrators did what they could with it, but this is not a good read. This is such a fun story! I'm always on the lookout for books that make me smile, laugh, or generally leave me in a good mood. My usual &quot;go to&quot; audio books for a good giggle are Terry Pratchett's Discworld series or J.K. Rowling's Harry Potter series (the Stephen Fry version, of course). 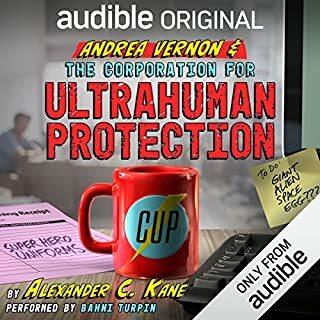 Alexander C. Kane, you are going into my good mood rotation! 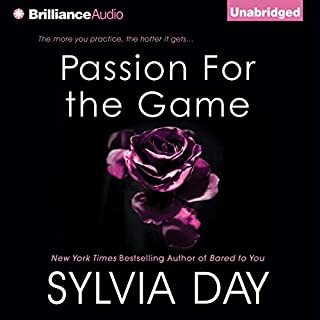 Dear Audible, please don't make me wait long for book 2. I'm dying to see what happens next!